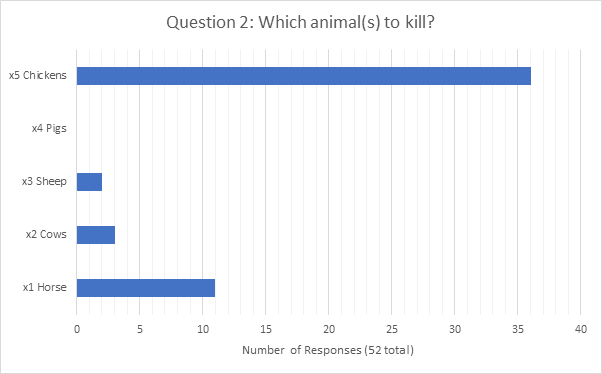 In the first two questions, all the people you love have been captured, and you must choose which animal(s) to kill in order to save them. In front of you are five animals. You must kill one of these animals in order to save your loved ones. 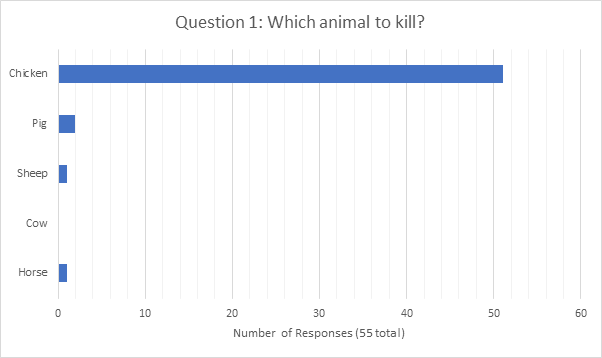 Assuming you are able to kill the animal humanely, which animal do you kill? You move into a second room, containing far more animals than the first. In this room, the animals are divided into pens based on their breed. The first pen contains a single horse; the second contains two cows; the third contains three sheep; the fourth contains four pigs; and the fifth contains five chickens. You must kill all of the animals in one of the pens in order to save your loved ones. Which pen do you choose? In the second part of the survey you now live on a farm. 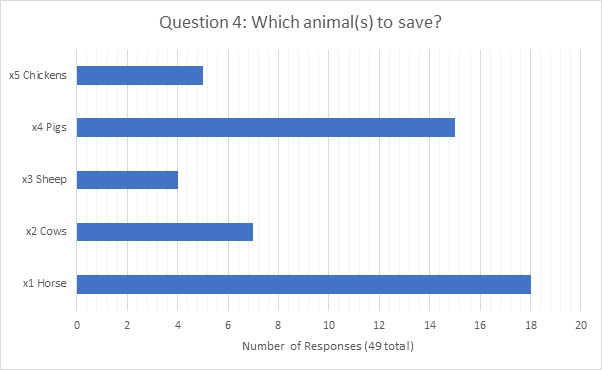 In both questions, there is a calamity on the farm and you must choose which animal(s) to save. There is a fire on the farm. You can only save one animal. Which do you save? There is a second fire, and you can only save animals based in one section of your farm. 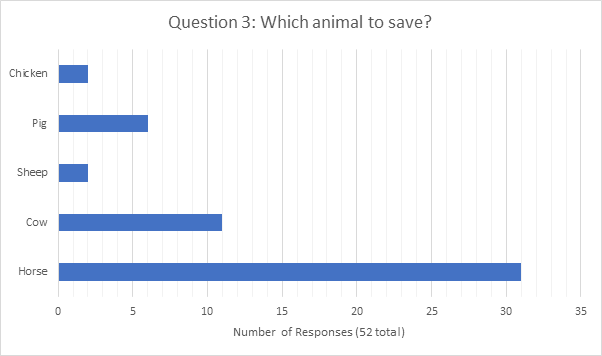 Which do you save? I’m really keen to engage with readers, so I’m holding off on my own comments for now. Needless to say, I find some of these results really quite remarkable! Please do post your own comments either below in the comments section, or on my Facebook page, where previous conversations around this survey have already proved really interesting. I look forward to hearing from you!